It was October 2007. Fresh out of college with a single season of experience raft guiding on Maine’s Kennebec River, my dad helped me wrap my Dagger Kingpin into a tarp. This tarp had protected the tent I had lived in for the past four months and now it protected my kayak for my first international paddling trip. 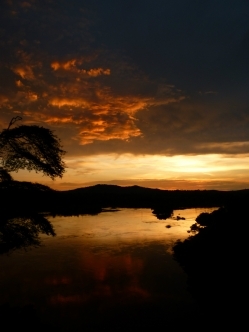 I was headed to Uganda, to the White Nile, to volunteer with Jessie Stone’s NGO Soft Power Health. 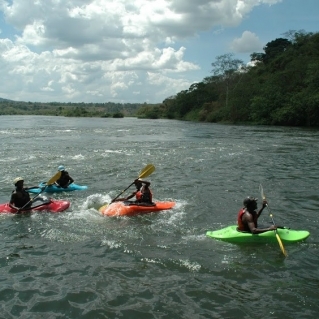 Research for my proposed graduate school thesis, which would look at the economic effects of whitewater tourism, initially drew me to Uganda. 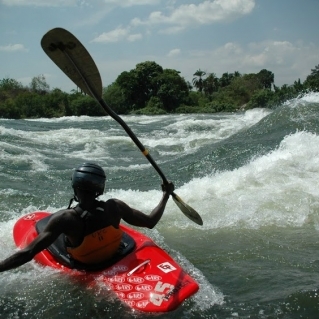 I wanted to travel to the Nile River and the Zambezi, as well as Switzerland, New Zealand and Nepal to examine whitewater tourism across countries with different “levels” of development. The Nile piqued my curiosities because of the imminent threat of hydroelectric projects. I had planned to go for 10 weeks. I stayed for 12 months. As my dad wrapped my boat in a tarp, I sat agonizing over how presumptuous it was to show up on THE NILE with a kayak. I had watched Dynasty over and over, and doubts plagued my confidence. 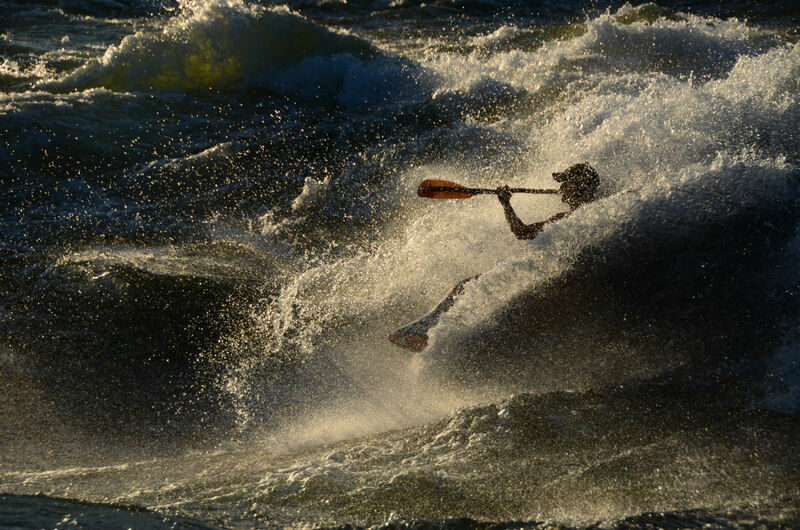 I wasn’t a ‘kayaker.’ Would I be good enough to even paddle any of the rapids? As it turns out, I left that former self behind when I boarded that first flight. Those 12 months transformed me and influenced my life more than most experiences ever had or would. 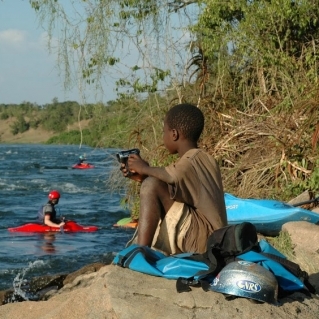 In those first twelve months living on the banks of the Nile, I slowly graduated from following other paddlers down the rapids to guiding them. 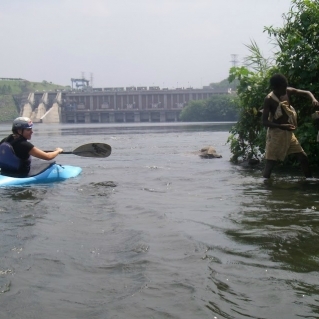 I eventually left my role as a volunteer for Soft Power and instructed full-time for Kayak the Nile. My job gave me confidence in my boating and in my abilities as an instructor and I absolutely loved having a river on my doorstep. There are certain moments from my first year on the Nile I’ll never forget. Tightening my life jacket in the eddy above Silverback, a 300-meter long sloping green ramp leading into a chaotic mix of frothing, surging waves and boils. Feeling the skin on my fingers shred as I gripped the coarse rocks in the eddy of Nile Special waiting for one last surf as the sunset blazed pink and orange on the horizon. The burn in my abs and thighs from precariously balancing my kayak and paddle across my lap as the wind whipped the hair underneath my helmet on my first boda ride. The joy and glee that accompanied my very first blunts—learned the same day as someone who became one of my most valued friends. Relaxing in the eddy above Super Hole before battling the internal demons as I decided whether or not I wanted to run Itanda that day. And of course, the feeling of eddying out on river left just above the start ramp of Itanda for the first time. When Davey peeled out in front of me and off the horizon line below, my eyes grew as wide as the bottom of a bottle of Club. 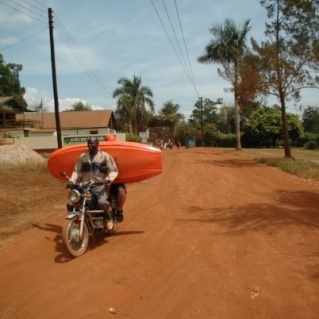 I grew so much as a paddler in the two and a half years I spent on the Nile. I fell in love with the community the river introduced me to. I felt proud of the person it allowed me to become as I stepped into adulthood. I found places to live, made new friends, pushed my personal limits, on and off the water. Living in Africa was vibrant and exciting with the constant pulse of the unknown and the unexpected. Throughout it all, in the backdrop of my life, sitting beneath the shrieks of monkeys and the call of parrot eaters was the quiet thrum of the Nile’s whitewater. The irony is that from the beginning, I knew plans to dam this river I was falling in love with, like so many others around the globe, had begun. The constant whispered buzz of the impending hydroelectric project taking place just downstream rang louder than the rush of the rapids below my front door. 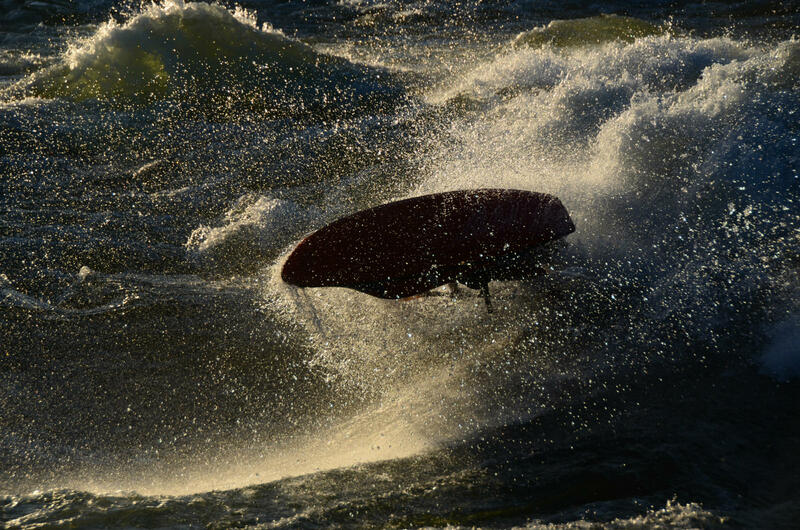 A buzz that prophesied drowned rapids, locals forced to re-locate spirits, and a maimed burgeoning and vital industry. 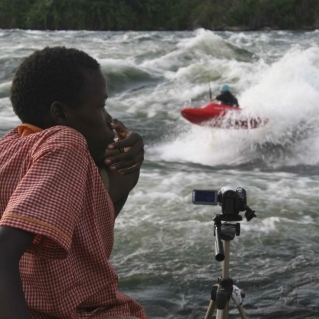 I arrived on the Nile for the first time just after the primary effects of the Bujagali Dam altered the river. The initial construction flooded out the Ugly Sisters channel and permanently altered the rapids upstream—Surf City and Total Gunga. The changes happened far more quickly and with greater severity than anyone had initially predicted. It was an eye-opening shock that despite all of the “science” behind the project, there was still so much unknown. Surf City rapid after the flooding. 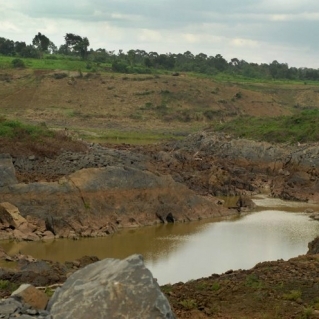 Nearly three years later, when the construction of the Bujagali Dam ended below Silverback, the results crushed the local population, the local economy, and everyone who had staked their lives and livelihoods around what seemed to be an immutable being. But, downstream of the massive concrete walls, enough rapids remained that a semblance of normalcy could resume. A few small changes here and there, a new rafting base, a new daily schedule, but life went on. I returned in 2015, and as much as I missed the ease and variety of life before the dam, I could see how much the magic of the place was the same. That trip was my last visit. As the dates of the completion of yet another seemingly senseless dam—Isimba Dam not even 50 kilometers downstream—flew around the Internet, I toyed with heading back to the place that had been my home. I planned as far as buying a flight for early September. Ultimately, the dates didn’t work out. The memories of the time I was fortunate enough to spend there would have to suffice. The Nile turned me into a kayaker. Not just because I was able to kayak every day but because it taught me to love the river, to appreciate the magic of a place, and to embrace the endless opportunity that the river-life affords. We used to joke that NRE bar was the center of the universe and that everyone in the whitewater community passed through it at some point, or held a connection to it in some way. When I stop to think about it, nearly every job I have held, the path my life the past eleven years has taken is inextricably linked with the Nile. I am not unique in this. My sister met her husband there, like countless others I could list. 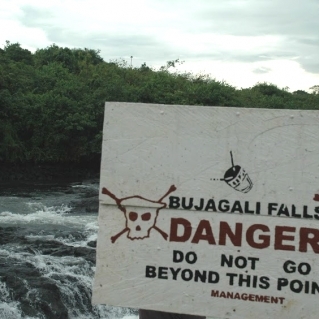 I recently opened a New York Times Magazine to a two-page spread of an aerial photograph of Bujagali Dam—that first monstrosity that flooded the “Day One section,” from Silverback up. I stared at the image, struck not by what the image depicted but by all that it didn’t. When I think about the recent flooding and the push for “progress” and “development” I still feel both sad and angry and sometimes wish I had finished the project that drew me to the Nile in the first place. I can’t help but think that surely all that stands to be lost is worth more. The community, the industry, the unapologetically vibrant life that surrounded the river has to be worth more than the credit the World Bank and whoever else is funding this project is giving them. The Nile is worth more than the “what” is to be gained. Part of the magic of the Nile was the way it brought people together. 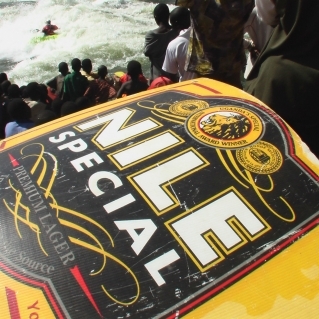 From sharing beers in the back of a rafting truck to partying at the Hairy Lemon, to surfing at Nile Special. I hope that no matter what, some of that magic remains. Like many, I grieve for the incredible rapids lost, but I also rue the loss of an integral hub for the whitewater community, an axis off of which so many pivoted, which so many more will never get to experience. But I am also grateful. 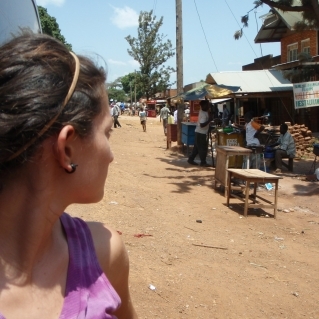 Grateful I had the opportunity to spend what little time I could in Uganda. Grateful for the people the river introduced me to, many of whom are still in my life. And grateful for the person the Nile River taught me to be. 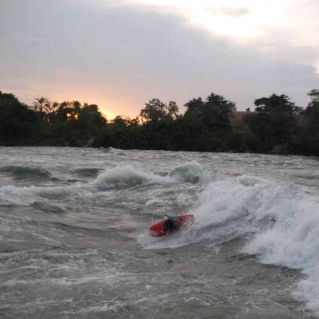 As the rapids downstream of Itanda flood slowly, the river reminds me to embrace life’s uncertainties, to accept the bad along with the good, to fight and protest when I don’t agree, to remember that Uganda and the Nile are not alone in the battle against the lure of hydro, and to always, always, take one last surf. 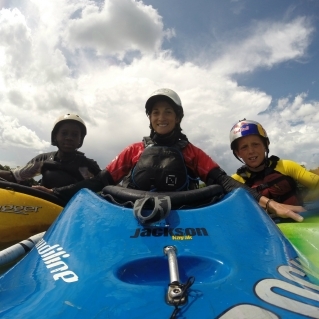 Editor’s Note: Guest Contributor, Anna Bruno is a member of Team NRS, associate editor for Kayak Session Magazine, freestyle kayaker for Team USA and a former teacher with World Class Kayak Academy.